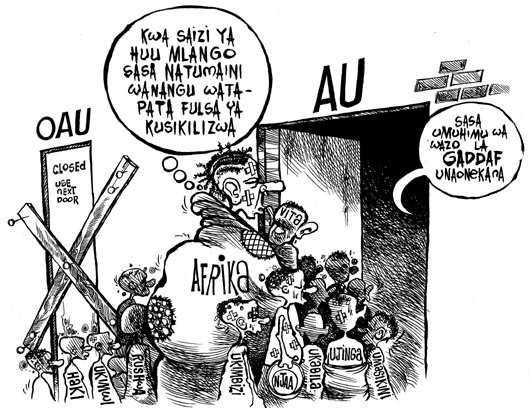 Africa: Considering the size of this door I hope my children will have the chance to be heard. Voice Inside: The importance of Gaddafi’s opinion is now clear. 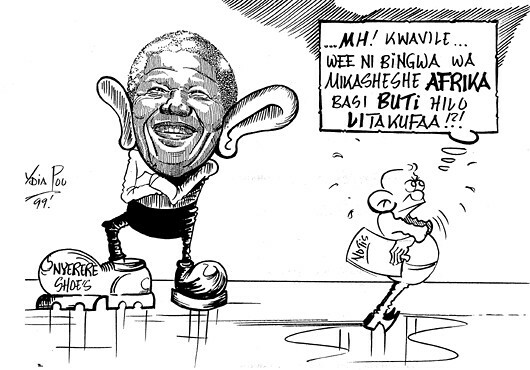 Lydia Paul – Nyerere’s Shoes too Big for Mandela? …MH! 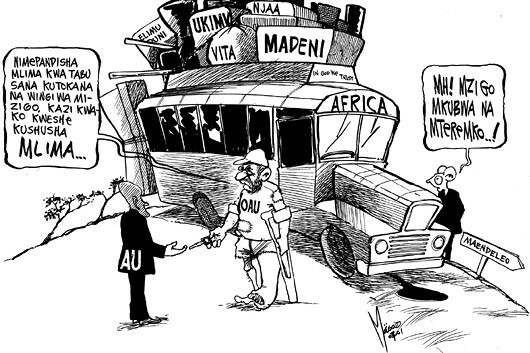 Since you are the champion of mediation in Africa, do you think that boot will fit your!?! OAU:I’ve met so many difficulties before I reached the top of this hill with this luggage. Now it’s your turn to drive downhill. The mouse: Mh ! The luggage is heavy and the slope is steep!